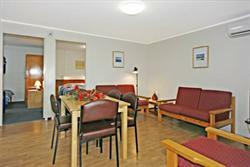 Enjoy the comfort and convenience of a two bedroom apartment for the price of a motel room. 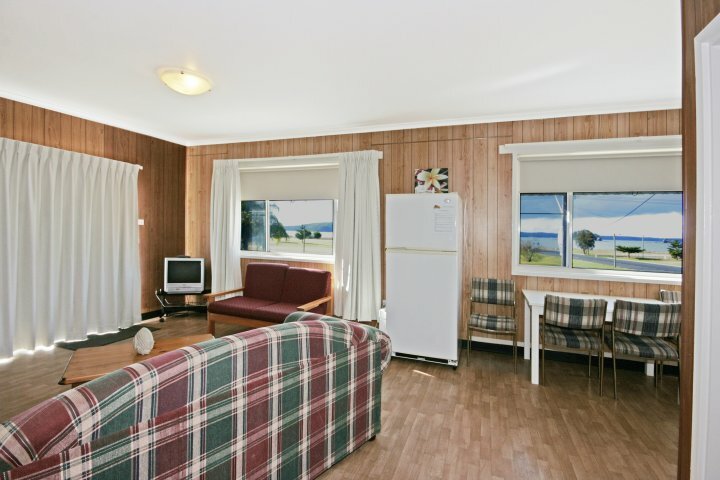 Kon Tiki Apartments are fully self-contained and boast a kitchen with full size fridge, stove and microwave as well as reverse cycle air conditioning, television and DVD player. Main bedrooms have a queen bed and the second bedroom has a double bed or bunks. A shady BBQ area and guest laundry is also provided. 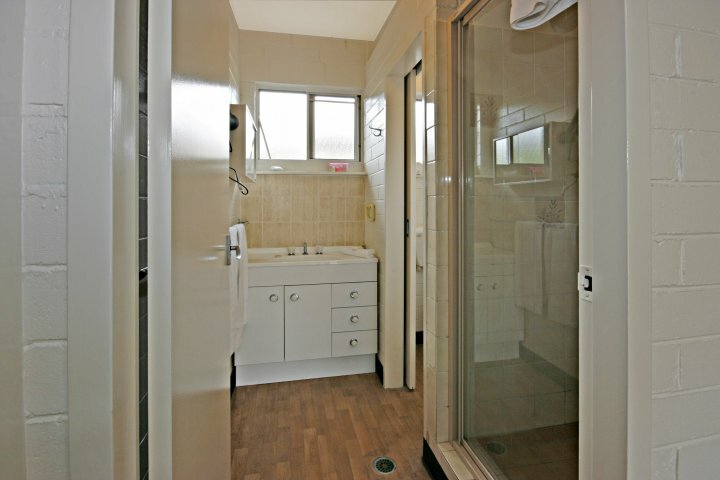 Kon Tiki Apartments are opposite Corrigans Beach in the heart of Batehaven. This small property is in a great position opposite the park, childrens adventure playground and beach and just a short three minute stroll to shops, restaurants and takeaway outlets. Close to all of Batemans Bay's attractions including the Golf Club, Marina, Boat Ramp, Tennis Club and Bowling Club. There is also a shared cycleway from the front of our property to central Batemans Bay. 2 Bedroom self-catering apartment with large private balcony and water views, air conditioning, television/DVD, full kitchen with full size fridge, stove, microwave, cooking utensils, crockery etc. Upstairs apartment. Linen provided. Parking for one vehicle. Check in is available from 2pm until 8pm. For after hours check in or if office is unattended please ring night bell or contact on-site manager on the number listed on office door. Each apartment has off-street parking for one vehicle. Batehaven is approximately 3km from Batemans Bay. 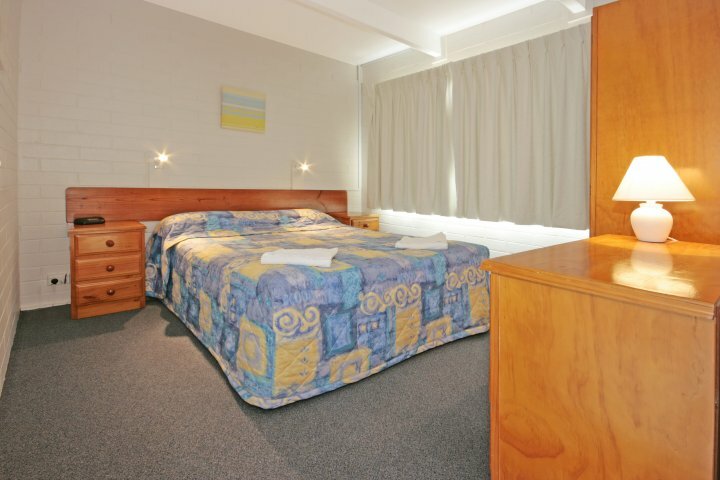 You will find Kon Tiki Apartments on Beach Rd opposite Corrigan's Park,300 metres north of Batehaven Shopping Centre. Batehaven is a popular tourist town and regional hub wrapped around the beautiful Bay and River entrance with kilometres of waterside walkways where you can spot the pelicans and dolphins or try a spot of fishing, go on a river cruise, go sailing, play golf or visit Mogo Zoo, local clubs, award winning restaurants, The Marina or go shopping. Much more to do - just ask!